What's new in Rainbow Six Siege update 1.40 for PlayStation 4 and Xbox One. Rainbow Six Siege update 1.40 for PS4 and Xbox One is now available for download. 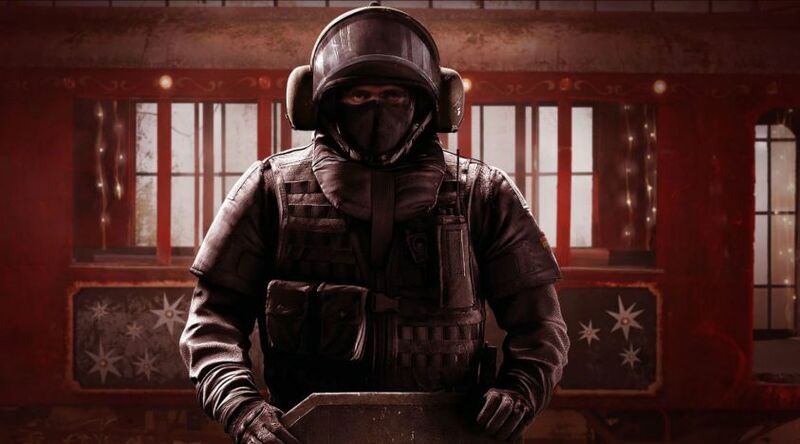 According to the official Rainbow Six Siege 1.40 patch notes, there is an upgrade to Kapkan’s Entry Denial Device, a new Elite set for Jäger, more weapon balancing, and bug fixes. Kapkan is now updated to have five traps with trip lasers that fade and disappear once deployed. However, the traps will no longer kill Operators instantly. Instead, they will deal 60 damage to 1-armor Operators. Kapkan will also be increased to a 2-speed Operator from a 1-speed, allowing him to cover more ground quickly. Check out more details below. The trip laser will fade to the extent of disappearing after deployment. This comes at a cost, as the traps will no longer be instant kills, dealing a 60 HP damage. Thanks to his improved traps, Kapkan will also gain in speed. He will now be a 2-speed Operator, instead of 1-speed. With the latest Rainbow Six Siege version 1.40 update, Blitz can now able to sprint with his shield still protecting him. Ela will now only have 3 Grzmot Mines. Rainbow Six Siege update 1.40 has raised the speed at which you reach maximum recoil, while also increasing the impact of the maximum recoil. 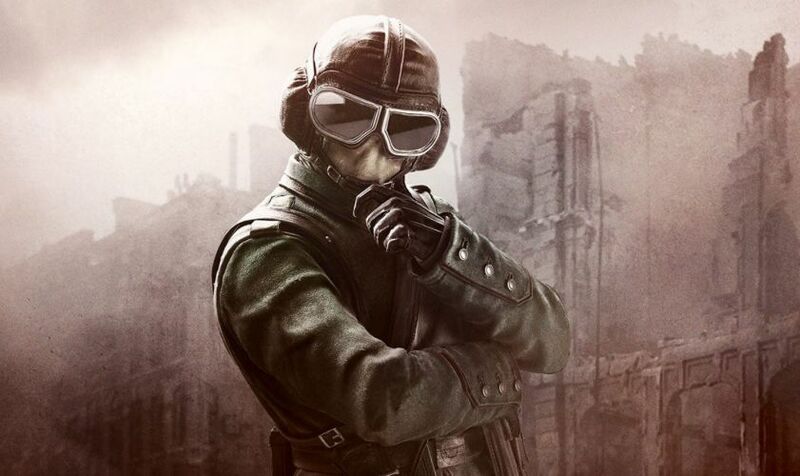 With Rainbow Six Siege version 1.40, the Flying Ace Elite set will see your enemy’s grenades falling from the sky in no time. Each set includes a matching Uniform and Headgear, Operator Card, Operator Title, Charm, and a Signature Victory Animation. With Rainbow Six Siege update 1.40, latency alignment is a change that allows the server to mirror the reaction time of a shooter with an unstable connection more accurately. Rainbow Six Siege update 1.40 has reduced the upper limit on the latency required to initiate extra hit validation steps. The game developers are also optimizing the replication of actions. The result is a more responsive experience for all players and a reduction of latency. With Rainbow Six Siege update 1.40, the game developers are implementing a series of adjustments that will help you monitor the status of your client, of the server, and of your network connection. Renown in Situations and Lone Wolf Terrorist Hunt will be earned based on the amount of time you spend playing, as opposed to your total score at the end of the game. Rainbow Six Siege patch notes suggest that an issue is fixed where shields can be placed in a doorway, and through a series of actions, used to clip into the walls. *These issues are Fixed on an individual basis, and we will continue to fix occurrences as they are found. Fixed an issue where players are able to see through smoke grenade clouds when they are far away. Rainbow Six Siege version 1.40 addressed an issue where if a defender removes a barricade while a claymore is on the other side of it and it ends in DBNO, the slow blood prompt is not available. Rainbow Six Siege version 1.40 fixed an issue where players cannot open the scoreboard when being presented with the map and game mode at the beginning of a match, or in the round presentation screen just before the planning phase. Rainbow Six Siege 1.40 fixed an issue where shield animation is broken when spamming prone. Fixed an issue where an issue where User experiences collision issues while strafing along destructible walls. Rainbow Six Siege patch notes suggest that an issue is fixed where deploying Castle’s barricade and canceling the animation will no longer cause other player’s FPS to drop. Rainbow Six Siege 1.40 fixed an issue where players are able to duplicate Tachanka’s turret indefinitely. Fixed an issue where trophy system does not intercept grenades as intended. Rainbow Six Siege version 1.40 fixed an issue where Candela Charges will blind the Attacker continuously if they enter their drone camera while flashed. Rainbow Six Siege patch notes suggest that an issue is fixed where no points are awarded for players that step on Gu mines while Lesion is dead. Fixed Pellets can get attached to nothing, causing them to float. Rainbow Six Siege update 1.40 fixed an issue where ash is able to destroy Bandit’s shock wire on an electrified reinforced wall and receive points when she should not be able to destroy it with her Breaching Round. Rainbow Six Siege patch notes suggest that an issue is fixed where a delay is present before aiming with her Electronics Detector deployed. Fixed where there is a clipping issue when crawling while using the Skeleton Key. Rainbow Six Siegeversion 1.40 fixed an issue where explosives do not destroy Shock Wire when the reinforcement is placed on a trap door. Fixed an issie where no points gained for destroying a Breaching Round with electrified wires. Fixed an issue where the replication of Montagne shield can be broken. Rainbow Six Siege patch notes suggest that an issue is fixed where montagne can shoot through the extended shield. Rainbow Six Siege veriosn 1.40 has fixed an issue where voice chat can be heard between different PVP games. Fixed an issue where you can hear the sound of the biohazard container in the previous spawn selected. Rainbow Six Siege update 1.40 fixed an issue where hostage clips through all walls and object when the attacker stops escorting him. Fixed an issue where players are able to displace the hostage using the deployable shield. Fixed an issue where participants in a custom game will remain in prep phase if the host pauses the timer after the time has ended. Fixed an issue where placing a deployable shield in the doorframe blocks the vaulting option in 1F House Lobby and 2F Terrace. Fixed an issue where Gu is not activated if thrown at the intersection of two tiles at the bottom of the stairs in 1F House Lobby. Rainbow Six Siege 1.40 fixed an issue where drone can fall out of world from under the stairs of EXT East Garden. Fixed an issue where players can vault inside the boxes at 2F Cafe Corridor. Rainbow Six Siege 1.40 fixed an issue where a pile of plaid clothing asset across the map acts as an indestructible steel object when struck with the Sledgehammer. Fixed an issue where players can see outside by destroying the walls of the cockpit. According to the Rainbow Six Siege patch notes, an issue is fixed where it is possible to kill players above Kitchen through the indestructible floor using explosives. Fixed an issue where textures between reinforceable and indestructible walls allow bullets to pass through. Fixed an issue where Defender can run out to a specific spot and remain undetected. Rainbow Six Siege update 1.40 fixed an issue where rubberbanding when vaulting a shield in Basement Archives. Fixed an issue where players are able to stand on a window frame. Fixed an issue where vaulting over a Deployable Shield in the Archives Corridor hallway may result in the player falling out of world. Addressed an issue where hole between table legs on 2F Hallway is acting as a penetrable wall. Fixed an issue where Valkyrie can place a camera inside a wall from 1F West Corridor from B Garage. Addressed an issue where after destroying the roof of the garage the player can throw a Black Eye camera into it and see-through wall. Fixed an issue where the wood buffer is too large next to reinforcements, allowing players to shoot through them. Fixed an issue where the drone can clip and remain stuck in Planter Foliage above Main Entrance. Addressed an issue where behind the crates in 2F Armory, there is a missing collision on the wall and a drone can fall out of the world. Fixed an issue where players are able to force their character out of the floor’s collision and kill opponents outside. Rainbow Six Siege version 1.40 has fixed an issue where the players can place the defuser in Armory on top of boxes and out of reach for defenders. Fixed an issue where textures between reinforcible and indestructible walls allow bullets to pass through. Fixed an issue where when interrupted, some weapon’s reload audio does not properly sync with the animation. Rainbow Six Siege 1.40 has fixed an issue where bad animation when you go from running to walking stance. Fixed an issue where crouched Operators can sometimes have their foot clip into ground. Fixed an issue where Montagne’s reload animation is broken when viewed from 3rd person. Rainbow Six Siege update 1.40 has fixed an issue where inconsistency between the in-game headgear and the picture for some of Valkyrie’s headgear. Fixed an issue where arm Protection’s straps clip into Rook’s uniform. Fixed an issue where IQ’s hand and shoulder have a strange animation when deploying the Electronics Detector. Fixed an issue where Rook’s face clips through his headgear when being hit. Addressed an issue where after Ela’s concussion effect disappears, there is a bad animation with the hands. Fixed an issue where Blitz has missing shoulder straps on his default uniform. Fixed an issue where bundles reappear after unlocking them. Rainbow Six Siege patch 1.40 has fixed an issue where the item model will rotate without player input if the player enters a submenu or switches through the available content while rotating the model. Rainbow Six Siege version 1.40 Fixed an issue where Rook’s Créneau headgear design on the shop image does not reflect the design of the actual headgear. Fixed an issue where Valkyrie’s Pop Art headgear thumbnail has normal hair and grey glasses. Rainbow Six Siege update 1.40 Fixed an issue where visual artifact visible on the Alpha Pack. Fixed an issue where 25 Pack Icon is distinct from the background. Fixed an issue where distinct stripe is sometimes visible on the Alpha Pack. Rainbow Six Siege 1.40 update for PS4 has fixed an issue where sometimes there is a shadow in front of the card pulled from Alpha Packs. Fixed an issue where inconsistency between rarity of gridlock weapon skin. Fixed an issue where while entering through a window from rappel while ADS and shooting, ADS animation is broken. Rainbow Six Siege update 1.40 Fixed an issue where for Scorpion EVO 3 A1, the muzzle flash is too far ahead when a weapon is equipped with Compensator. Rainbow Six Siege 1.40 Fixed an issue where the rappel rope/line clips every time you end the action. Fixed an issue where when moving while in ADS with any weapon with an ACOG sight, the weapon sight displays minor rubberbanding. Fixed an issue where the weapon becomes invisible if quickly switching to and back from a gadget can be equipped and held. Rainbow Six Siege version 1.40 Fixed an issue where currency Pack price inconsistency in British Store. Rainbow Six Siege version 1.40 fixed an issue where inconsistency with the Legendary skins missing rarity. Fixed an issue where the rotation axis of the Operator’s shields in the charms full screen preview is incorrect when using higher levels of zoom. Fixed an issue where Bandit’s Road Hog uniform does not have a rarity. Rainbow Six Siege 1.40 has fixed an issue where Gridlock Assault Rifle Bundle has two items without rarity until items are previewed in the shop. Fixed an issue where Sledge’s Blood Orchid uniform camo pattern appears too dull and is not very visible. Rainbow Six Siege 1.40 fixed an issue where corrupted texture can be noticed on the Alembic skin thumbnail after equipping the skin. Fixed an issue where the Valkyrie Chibi is invisible in game. Rainbow Six Siege version 1.40 fixed an issue where Frost’s Blood Orchid uniform appears too dull, not being very visible. According to the official Rainbow Six Siege patch notes, fixed an issue where Blue Nebula Skin does not have a rarity. Fixed an issue where the Oak Barrel charm clips into the weapon. 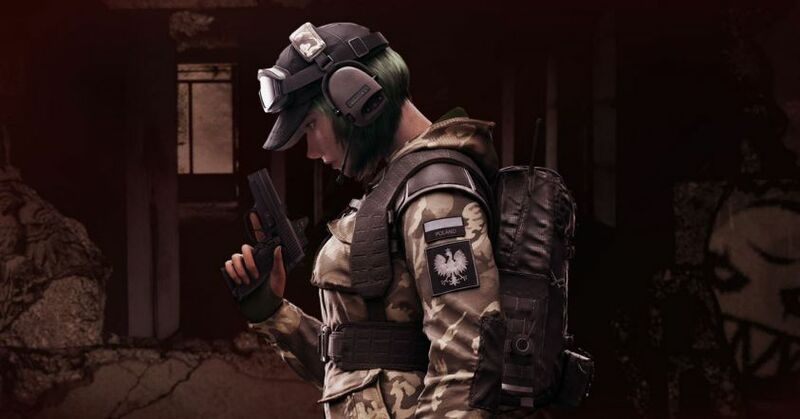 Fixed an issue where the text on the right side of Ela’s headgear is mirrored. Rainbow Six Siege 1.40 fixed an issue where there are more cans of the 30 days booster then the 90 days boosters. According to the official Rainbow Six Siege patch notes, fixed an issue where Beatmatch charm is in low resolution. Fixed an issue where a typo is present in Ela’s description in Spanish localization. Fixed an issue where there is no visual indicator for squad members when they are transmitting audio over voice chat. Rainbow Six Siege update 1.40 fixed an issue where all Weapon Skins, Charms, Attachments, Headgear and Uniforms are reset to default on every operator after rebooting the game. Fixed an issue where the Fragrant Harbor charm has black reflecting textures on the sails. Rainbow Six Siege version 1.40 has addressed an issue where the Dancing Auntie charm has missing backface. Fixed an issue where the Gold Chibi for Glaz has missing backface. Previously, major update 1.38 and a minor update 1.39 with bug fixes were released. Check your game update and download latest Rainbow Six Siege update 1.39 for PS4, Xbox One, and PCs.